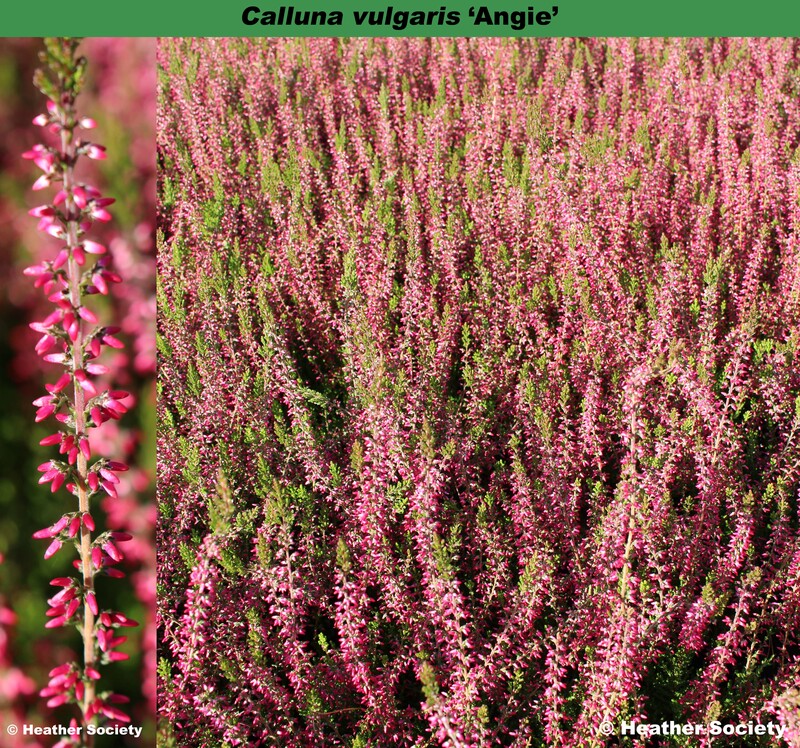 One of the many bud-flowering Calluna vulgaris found in garden centres at this time of the year. Since they never actually flower, the buds stay on the plant for several months. Bud-flowering Calluna make a welcome colourful addition to the garden at this time of the year. Corolla and calyx dark red; buds medium-sized; flowering from September to December; foliage dark green; habit upright, after 5 years 60cm tall, 50cm across. Sport on 'Moulin Rouge', found by Johannes van Leuven un September 2003. Named after the German Chancellor (Bundeskanzlerin), Angela Merkel.